LG unveils Watch Urbane 2nd Edition, world's first Android Wear smartwatch to feature cellular connectivity. At the event to introduce the V10 smartphone, LG Electronics provided a sneak peek of the LG Watch Urbane 2nd Edition, the first Android Wear device to feature cellular connectivity. With the option to connect via 4G, 3G, Wi-Fi or Bluetooth, LG's newest wearable device works seamlessly with Android smartphones or can go it alone, when carrying a smartphone isn't practical or convenient. 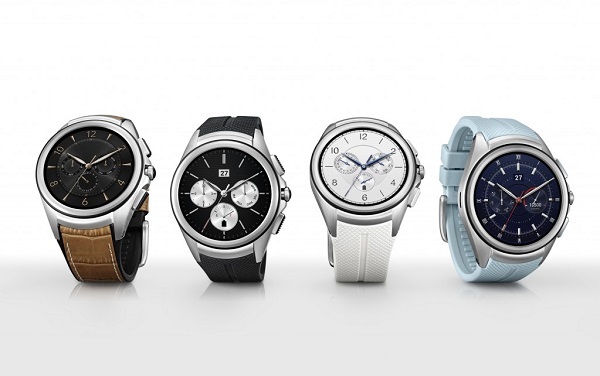 LG's Watch Urbane 2nd Edition is Tether-Free and compatible with both Android and iOS. Cellular enabled features will vary across Android and iOS. The latest LG Watch Urbane delivers the highest resolution display of any smartwatch currently on the market today. With a resolution of 480 x 480, the new LG Watch Urbane delivers 348ppi on its 1.38-inch full circle P-OLED display. With a diameter of 44.5mm, the smartwatch resembles a classic timepiece with its hairline-etched stainless steel body and durable hypoallergenic TPSiV elastomer band. And to live up to the original LG Watch Urbane's great battery life, the 2nd Edition features a high-capacity 570mAh battery and Power Saving Mode to last throughout the day and more. The LG Watch Urbane 2nd Edition will be available first in the United States and Korea, followed by markets in Europe, CIS, Asia and the Middle East.